Every year I promise myself that I’ll start preparing for Christmas earlier, and every year I seem to start early enough ~ but then it all falls in a heap. Life just gets busy, and I end up disappointed with myself, because I want everything to be perfect. After attempting my own little crochet decoration, I started looking around to see what nice patterns were out there. There are some really cute little crochet Christmas decorations that look pretty easy to make too. 2. A set of Crochet Coasters ~ a great easy-to-make Christmas gift. 3. Easy Christmas Star from Jelly Wares ~ just three rows, and looks really lovely. 4. 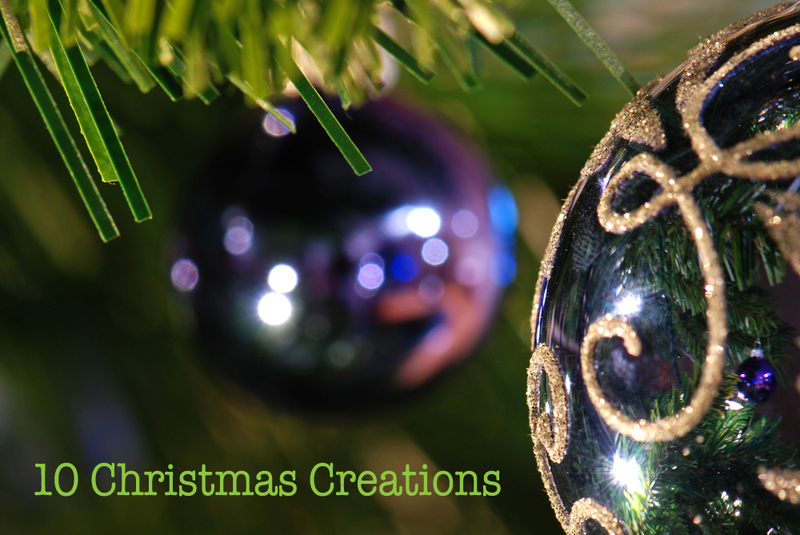 Christmas Tree Decoration from Little Woollie ~ easy tutorial, stunning colours! 6. Gorgeous Crochet Christmas Baubles ~ by the wonderful Pip! 7. A Striped Christmas Stocking from Yvestown ~ in the sweetest pastel colours. 8. A garland of Christmas Ornaments ~ I’ve mentioned these previously, but they’re just too cute to not include in this list. 10. A little Christmas Stocking Ornament by Shara ~ perfect for the Christmas tree! I think from this list, I will manage a few last minute little festive blings. This entry was posted in Christmas, Craft, Crochet and tagged crochet christmas patterns by terrimm. Bookmark the permalink. You have certainly found some great Christmas ideas, thank you for sharing. Love the stars and the christmas baubles. Those coasters are so cute! I wish I could crochet beyond the granny square, but that seems to be my limit! Thank you for posting those links. I’m particularly enamoured of the granny-square style star, since that’s about the limit of what I could manage (skill set AND time) as gifts for my erstwhile colleagues when we get together for Christmas drinks!